Pippa Merivale, a natural healer with several decades of experience in client and group work, used a variety of natural healing techniques and insatiable curiosity about the human mind and heart for many years to hold others through the kind of earth-shifting changes that she had experienced in her own journey, until Metatron made his Presence felt in her life and commissioned her in early 2007 to “dissolve the story from the body energetically”. Shortly afterwards, this Angelic Being delivered the high frequencies of Light and the radical techniques that would allow this to happen with grace and ease.This single, unequivocal sentence turned out to be the first in a series of instructions which, even after two decades of spiritual work, would radically change Pippa’s own experience and understanding and before long, thousands of others. The combination of her wide-based and challenging life experience and the unequivocal messages from this Archangelic Source worked together from then on, to create Metatronic Healing®, a system for life change and transformation which was both ancient and new. Pippa has continued to receive the high frequencies which are Metatron’s hallmark and translate them into form: Metatronic Healing is now well landed, and is also a fascinating work in progress. She works closely with the cohesive teaching team on the ground. 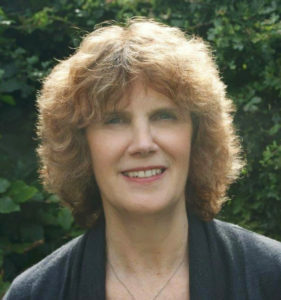 Pippa now divides her time between writing, teaching and facilitating Teleseminar and Healing & Prayer Events online through the Divine Healing Clinic. Contact email: pippa@metatronic-life.com.